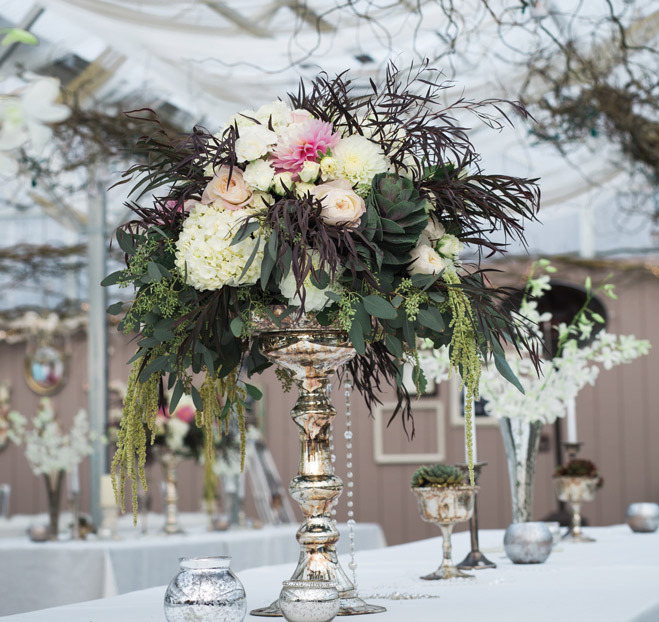 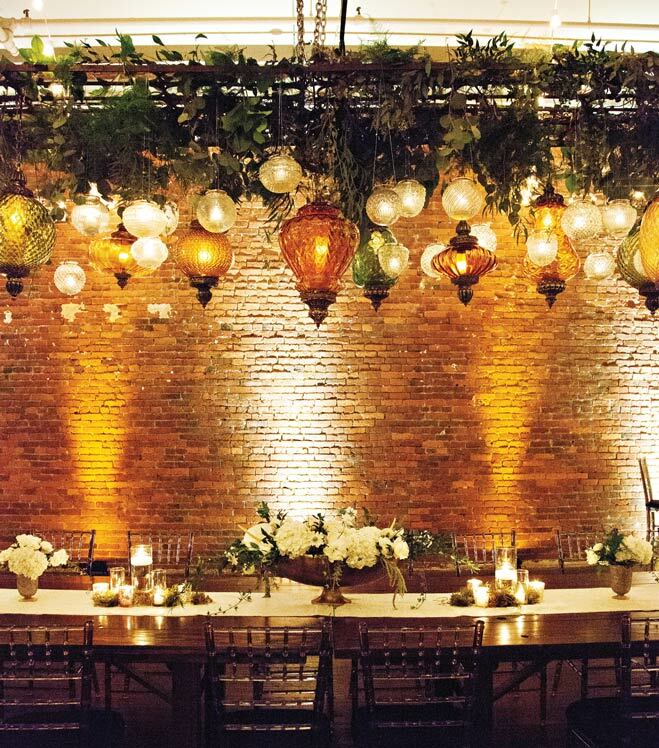 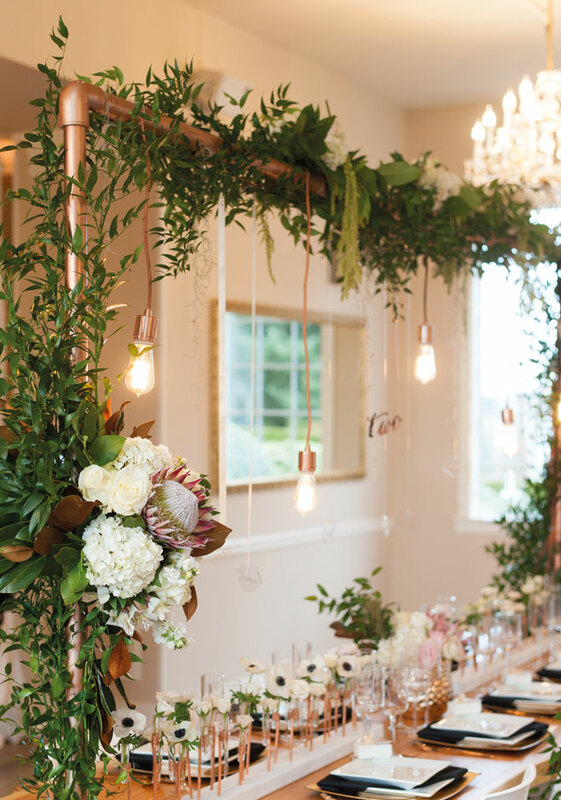 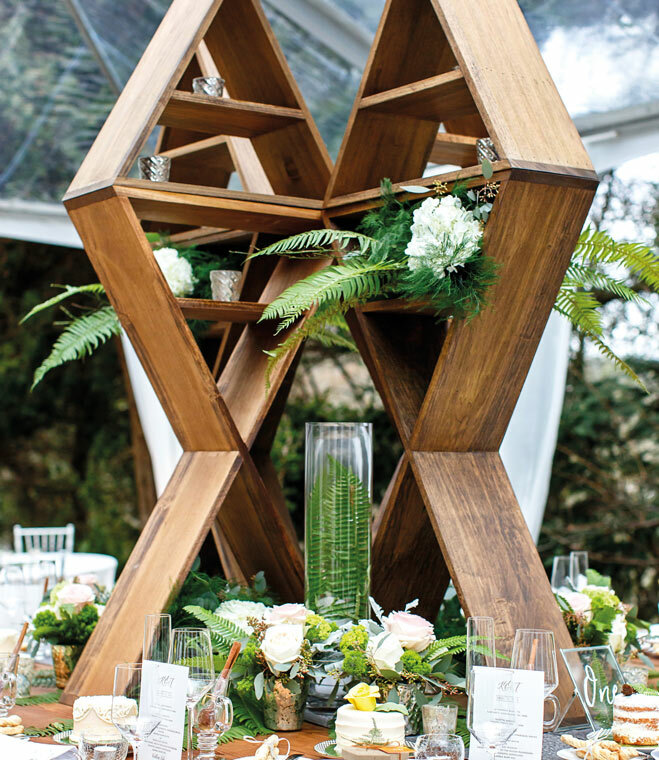 Juxtaposing earthy woods, vintage elements and industrial metals, these luscious ideas—all from real celebrations and local wedding showcases—are resplendent with hanging greenery and an overgrown, organic aesthetic truly fit for the Emerald City. 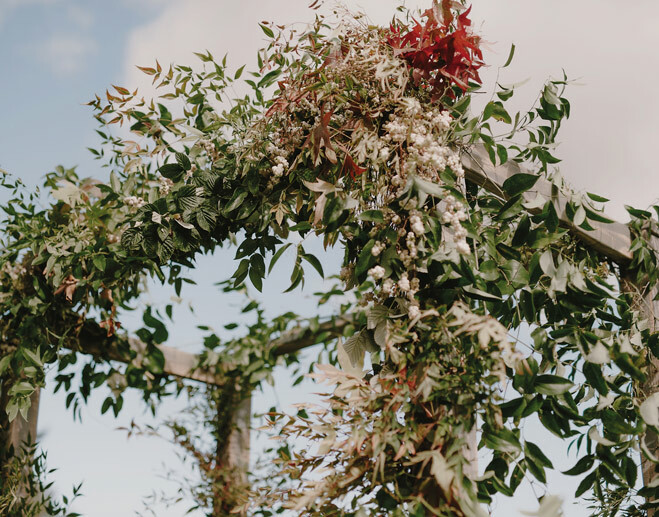 Rain may mean good luck on your wedding day, but that doesn’t mean you and your guests have to get soaked if you’re getting married in the great outdoors. 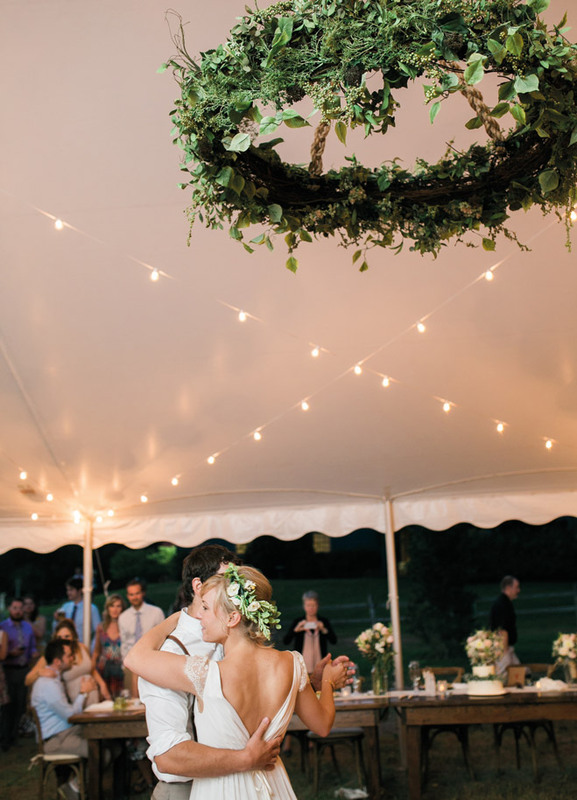 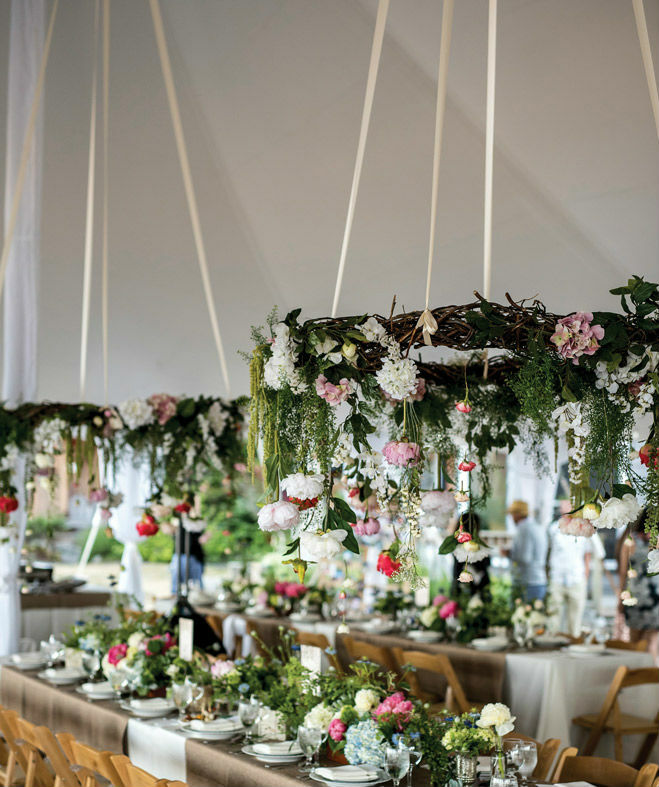 Caitlin King and Justin Minuk turned to wedding planner and florist Sinclair & Moore Events for an ultra-lush floral installation that matched the Southern garden party feel of their big day. 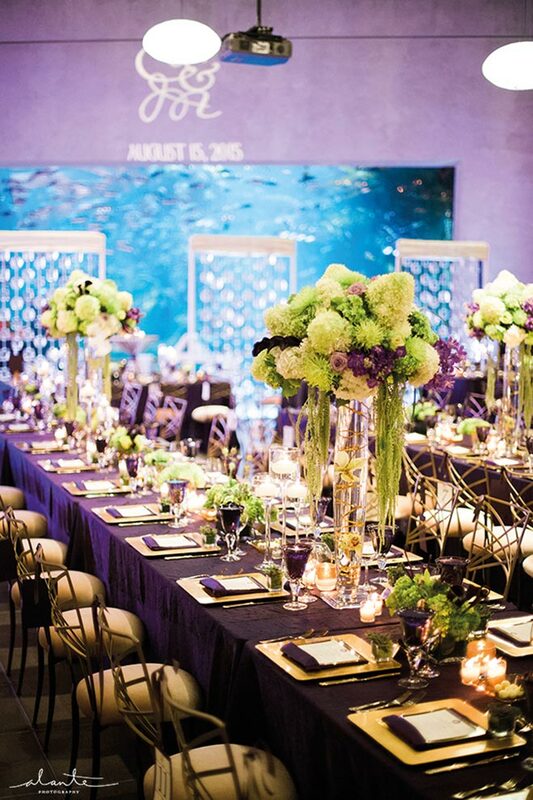 Wedding planner Wendy Wojcik of Weddings with Wendy created this regal and refined big-day theme by marrying Pantone’s Ultra Violet color of the year with hues more akin to the Northwest—lavender, lilac, mulberry and mauve.